This past week a beloved American passed away but in her path she left some amazing wisdom for ages. She was an author, a poet and an inspiration for many people who have kept their eyes on personal growth and living meaningful lives. She had an interest in making people feel better about their situations and about themselves. What she helped foster for the people she inspired, was hope. I think her life can model on a grand scale one of the greatest gifts that we can give to our fellow humans. That is positive feelings. If I am considerate with my thoughts and actions, I can effectively make people feel loved and special as I walk through this world. It comes down to how I present myself in human interactions. In the course of the day today, I have seen both sides of this theory. On one occasion, I was rushing to get out of a convenience store and placed my things on the counter in front of someone before they put away their wallet, I heard the man say under his breath “get a little patience Sparky” I acted out of impatience, made him feel rushed and he reacted. As a result, I wanted to explain to him that my name was not Sparky, but I refrained. Later in the day, as my life was truly in the flow, I I was able to make someone feel comfortable by just listening to what was troubling them. I didn’t do much, I didn’t say much, but I was able to help someone feel OK. Throughout a single day I have the ability to effect how so many people feel and if I am more conscious and considerate of others I believe the feelings that I can elicit have a lasting impact on others. Affirmation: Today is a day where I am going to spread positive feeling. 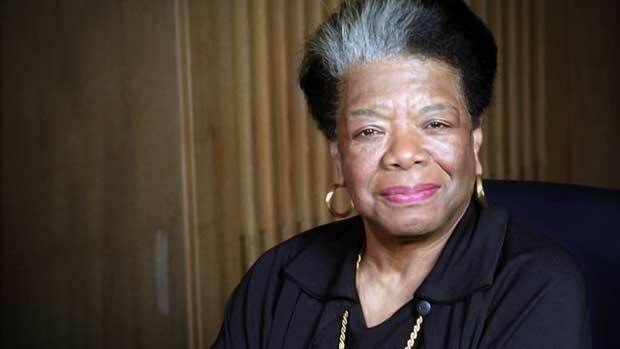 Call to Action: Take the Maya Angelou’s words to heart. See where you can share a compliment or some kindness to make someone else feel good today. Take time with your personal interactions and see if you can give them a feeling that will make a positive lasting memory. I can’t help but notice my Facebook feed is flooded with graduation announcements pictures and videos. It is that time of year again. As an older student I have watched all of my friends around me graduate and move on with their lives as I dropped out of school, gave up, and got jealous of everyone else’s success. Now, I can truly be happy for those moving on with their lives. Is it because I know that I am only a year from graduating myself? No. It is because I am at a place where I can appreciate the things that I have done in my life. I can be proud of where I am at today. Sure, I leave out some of the less than glamorous aspects of my past life. However, there are so many things that I have done that are worth mentioning. I’ve lived life. I’ve traveled. I have seen many places, experienced many cultures. Lived in many cities. Had lots of wonderful roommates. Made tons of friends. I’ve loved and been loved back. I have heard lots of great music and ate tons of great food. So at this time of year when I usually get resentful at the people moving on with their lives, graduates, ready to go out and experience the world. I remember that every day I experience the world. Everyday, I have a new experience. Everyday, something new happens that I can appreciate, if I stop and notice it. 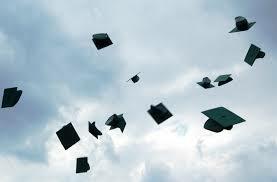 To the new graduates, I am truly happy for you. Treat yourself. You’ve earned it. For the rest of us stop and think about what has been great about your life. Something new you experienced yesterday, or what you plan to do today. If we stop and think we will see that life is truly a celebration. Affirmation: Each day I accomplish something new; therefore my life is full of accomplishments. I am so blessed to live an extremely full life today. I love having a couple weekly commitments planned out in broad strokes. Although, from time to time I would rather do anything in the world but my commitments, but I show up and keep my word. A majority of the time I am graced with new perspective, joy and certainly a sense of accomplishment for the simple fact of showing up for life. I truly believe that my father instilled in me a great work ethic and the importance of making commitments to be a part of other peoples lives. As I look back on my childhood I know my father had an incredibly busy life; he owned his own business, started other ventures, held civic duties and above all was a very present parent. After a full day of laying bricks he would be exhausted and have paperwork to do but he never missed a chance to be somewhere for myself or my brother. He coached every sport we played, even the ones he knew nothing about and I was only recently able to recognize how impressive that was to me. I know in my life today I want to be trusted so I do what I say, and incredibly people can count on me. I believe the more I practice this, as in most other things, the better I get. So I will keep putting myself out there and I will keep showing up . Affirmation: Today I will do what I say and say what I do. Call to Action: How are you with commitments? Are you willing to commit to be better at committing? What is one area of your life that this new perspective could benefit you? hmmm? Tonight as I was driving home from a great dinner with friends I started listening to a radio show called The Sporting Life and the first story was about Knowshon Moreno, and how he gets extremely emotional prior to each of his football games. He talked about how he reminisces about his turbulent childhood, and how his life has changed and is full of opportunities today. His life arc went from living in shelters as a child, with his father, to playing in the Super Bowl in a couple Sundays from now. This was an amazing reminder of how powerful emotions can be when they are harnessed and used to motivate us. Our emotions can lead us in extremely positive directions, but they can also take us down dark roads. What emotional memories can I use today to propel me to a new level of existence? In my life I have learned that some of my most emotionally charged memories can be used as an asset today. Even the things in life that happened, and I labeled them as “negative” at the time have come full circle and they are some of my greatest treasures that I can share with other people. Affirmation: Thank you Life for each and everyone of my experiences. I harness all that the Universe sends me, and use it for the ultimate good. Call to Action: Share a vivid memory that you have from your past, and how you have used it to better your life today. We would also love to hear about any story that you are going to use today to motivate you moving forward. I have a friend who has one of the most positive outlooks on life. He is very productive and always seems to cheer up those around him. He has a catch phrase, where he answers questions about how he is, or what he is doing by saying, “Just Hanging loose,” as he throws the universal hand signal for hang loose. We have turned it in to symbol of joy as we give each other hand signals illustrating that we are indeed, “Hanging Loose”. I am a member of a collaborative art community. Sometimes collaborative art can be challenging. We deal with lots of egos and sometimes we don’t have the ideal atmosphere for spreading our creative wings. Most of the time it is amazing and I would choose no other form of art, work, or collaboration. I had an especially challenging project not to long ago and I was frustrated. Things were not going exactly as I would like and I remembered, “Hang loose”. My day turned right around. I realized my place in the group, and went with it. I think my attitude change immediately affected the rest of the group. The mood among my peers was brighter and happier for the rest of our time together. Affirmation: When things don’t go as I plan, maybe it’s time to adjust my plan. Call to Action: Hang loose! Share a time when you were able to go with the flow and it made all the difference in the world. I am very blessed at this point in my life to be a sound board for many men. My phone rings several times a day and I get the chance to listen to all sorts of issues and situations that are going on in the lives of the people in my community. I also get the chance in these talks to work through my own difficulties which I find incredibly helpful. These talks keep me very present to my goal of exponential personal growth. This week a friend of mine had a situation going on where it seemed that he was just desperate for life to move faster than the universe was allowing. We talked for a while and all answers that were generated continued to point to the need of a little more patience. In truth many of the problems that arise in these conversations point to the need for more patience. I believe today that things happen exactly when they are supposed to and often not a minute sooner. All to often the waiting seems unnecessary in the moment, only to prove to be perfect in retrospect. In the conversation that I had yesterday we came to a paradox concerning the principle of patience that I thought was worth sharing. I asked my friend, “how do we get better at anything?” eliciting the response “practice.” So we concluded if we were to get better at the principle of patience we would have to practice patience, which demands patience to do so. It takes time to get better at anything and patience is no exception. Affirmation: In this moment I am practicing patience and through this moment I am becoming more patient. Two days ago I was on the verge of canceling a trip to meet up with a bunch of friends because I was under the weather. I started feeling a little better, and decided to still take the trip. I am glad I did. I am on the cusp of having a fun filled weekend with a bunch of friends from many different states and cities. The last few hours have reminded me how important friends are, and even more than that, spending time with friends is important. The laughs have been incredible, my cold is going away full force and it is not even Saturday yet. This makes me think about where can I be more present for people that are important to me. I want to be there for others in my life, because I know at the end of the day we only have each other. People that have been there for me in the past, and vice verse, are the greatest people to spend time with. Affirmation: Today I am there for others, and we rendezvous to spread life and love. Call to Action: Where in your life have you come together with your friends and it has changed your life? How can you come together with friends and family this weekend to improve the world? Tonight I set out to do a project that I had never done before. I estimated that the project would take about an hour or so. It seemed simple, I had watched my friend do it before, but I did not think about the fact that he had gone to school to do this certain task. The overall event ended up taking me almost four hours to do. It turned out very good, but the time invested was a shock at the end. What I know right this moment is that if I had any other mind set besides getting the job done it would have never been complete. Motivation, and determination were the key to the project being completed for a Friday deadline. Not only was I able to finish I was able to turn my excitement and joy into a CYLF post. Affirmation: Today I am able to embrace Life, and get the job done! Call to Action: What have you completed recently in your life that brought you an awesome feeling of completion? How did you persevering through that help you in other areas of your life? Please share some thoughts and insights with the CYLFriday community. I am grateful for the holidays, a time when we can forgive family, and friends come together and set aside our petty differences. The school semester is winding down and I only need to work hard for a couple more weeks. I had a great year and I am looking forward to next year. We are making plans for Christmas and New Years and there is plenty of celebration yet to come!! Thank you to all our readers, I am grateful that you make this site possible. I am thankful for family, friends, and acquaintances that fill my life with happiness and joy. I am happy for the struggles that I have faced over the last year, and have over come. I am grateful for my brothers Chris and Aiden. The last 12 months have been an amazing journey for my spiritual path. Last but not least, I am thankful for smiles. Yesterday I had my second “Orphan Family Thanksgiving” at my house. The whole day was filled with love and life, good smells, great tastes and incredible memories. After the 40 days of Grateful living there are a few that I know come up every few days. Friends, I have the greatest group of friends around me that only come from doing my part to be a friend. Family, My family tree has so many pieces that make up this life I have. I am grateful for all of them. Life, I know in this moment I am blessed to be having this experience, It is my role to live with this knowledge and spread my divine spark with the world. Thanks for being a part of my journey.